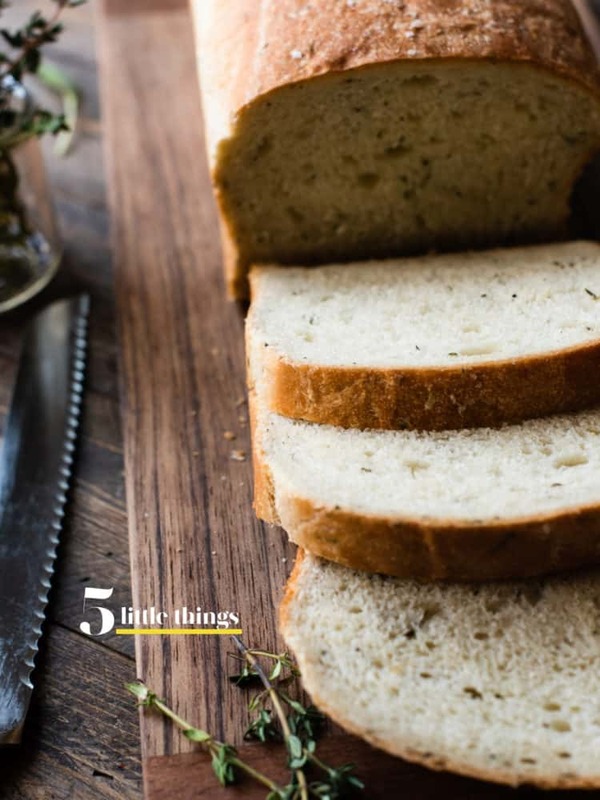 Five Little Things I loved the week of November 9 2018: bread, food in movies, inspiring kids, and more! Ah, Friday at last! Did you have a good week? Someone mentioned that we have 13 days left until Thanksgiving, and that just took me by surprise — I somehow still think we’re still in October! Anyway, now that it’s getting colder (we finally turned on the heat today! ), I’m starting to want to hibernate, watch movies, and bake all day. This week, I’ve had an especially wicked indulgence with all things carbs. I’ve been baking loaves of the savory Savory Herb Stuffing Bread that I shared with you earlier this week — my son has been loving it for his sandwiches! And of course, there are the Olive Cheese Scones I just shared with you that are like Foccacia in scone form — my daughter is convinced they should be dipped in marinara sauce, which makes complete sense. But then my husband brought home bagels from my hometown, so I’ve been enjoying them before they go stale!! Where do you live? Chances are your neighbors are googling the same recipe! Californians are all about the turkey, while green bean casserole dominates the Midwest! Here’s a fun look at the most Googled Thanksgiving recipes by state from the folks at Satellite Internet. Looking for a new show to binge watch? I am hooked on Salt Fat Acid Heat on Netflix, which follows Samin Nosrat who authored the bestselling cookbook of the same name: Salt, Fat, Acid, Heat: Mastering the Elements of Good Cooking. How I wish there were more than 4 episodes! Speaking of Netflix, I also rewatched Julie and Julia, which is also available right now on Netflix – I never tire of the food in this movie! I love when kids embrace a quest for knowledge and use it to make a difference in the world. This remarkable young lady is on her way to doing great things. Speaking of movie food and kids, see what happens when kids try foods from your favorite movies! Wishing you all a delicious and cozy weekend – hopefully you can indulge in some good movies! Disclosure: There may be affiliate links in the post, see my Disclosure page to learn more.